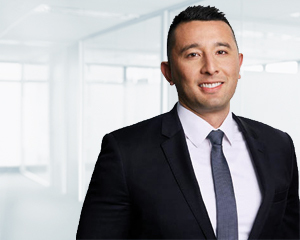 As a senior member of the Canberra Family Wealth Management team, Lee Moore provides quality investment advice to clients in line with the recommendations of the Investment Committee, meets new clients, mentors junior staff and assists in the management of the team. According to Lee, being proactive in helping clients understand investment opportunities is an important element of the investment adviser’s role. “When I’m advising clients, I put myself in their shoes so I can understand where they’re coming from, their objectives and their risk profile,” he says. “I make sure I give them as much relevant information as possible and that they understand the risks. Lee says clients benefit from the range of experience of the members of the Investment Committee, which provides objective recommendations about the various asset classes. Before joining Dixon Advisory, Lee was a consultant with IBM Global Business Services, working on several large projects with various government organisations. Lee has a Bachelor of Commerce in Banking and Finance as well as a Bachelor of Information Technology. He has a Graduate Diploma of Applied Finance from Kaplan. He holds accreditation with the Stockbrokers Association of Australia and is a qualified Accredited Derivatives Adviser (ADA). He has also completed his MBA at the Australian Graduate School of Management.